A new year of work started and we would to give you some useful advises on how to improve your Italian. For each of these suggestions, we will provide you a concrete example. The first way to improve your Italian is watching Italian movies. If you have time, once per week would be great. Use the Italian subtitles if you want. We suggest you to watch Il Giovane Favoloso (2014). There are many reasons for doing that. We are listing here the more relevant. * The movie is dedicated to Giacomo Leopardi, one of the most important writer and poet of the Italian literature. He died, probably due to a genetic disease, in 1837 when he was only 39 years old. * The way in which Giacomo is represented is not pedantic or academic. That’s why this movie is interesting. * An important part of the merit is due to Elio Germano, that interprets the role of Giacomo. He did a “studio matto e disperatissimo” (quoting from Leopardi, “a crazy and intense study“) of Giacomo’s life and ideas. The result is that the way in which Giacomo appears is probably really close to the real one. * Mario Martone directed the movie, the same that made for example L’amore Molesto, taken from the homonymous book by Elena Ferrante. * The most of the movie takes place in Recanati, in the house in which Giacomo effectively lived. You can visit it and I can tell you that it is an exciting experience, specially if you studied Leopardi at school. The second part of the movie takes place in Naples. The second way to improve your Italian is watching Italian videos. The TedX Conferences in YouTube are a good example for that. A really interesting one is for example the TedX Conference hold by AnnaMaria Testa: From Bello to biutiful: what’s going on with the Italian Language? 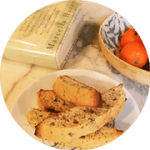 She spoke about the curious habit of the Italians of using, especially for marketing purposes, the English instead of the Italian. You will see with which results watching the video. 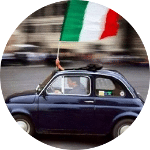 The third way to improve your Italian is reading a bit of Italian everyday. When you read, try to understand the general meaning of the passage as first. Then go over the passage for a second time. At this point, you will discover specific details that you haven’t noticed before. If you want, use the dictionary, but don’t use it too much. Mio figlio Isaia ha inziato da poche settimane la prima elementare. Il passaggio dalla scuola materna alla prima elementare non è stato facile all’inizio, Isaia ha cambiato abitudini, maestre e compagni di classe. Ad un certo punto ha fatto un sogno però e dopo questo sogno, credo, le cose sono andare diversamente. Isaia ha sognato di trovarsi in una vasca d’acqua, una piscina molto profonda. Era con il papà e ad un certo punto il suo zaino è andato giù. Isaia ha chiesto al papà di andare a prenderlo, ma non è stato possibile. Allora Isaia, che ha cinque anni e mezzo, ha deciso di andare sott’acqua a recuperare lo zaino. Sotto l’acqua c’è una grande balena. Isaia va sotto e nel sogno muore. Poi stranamente riemerge, non ha più lo zaino di prima, ma uno zaino nuovo. Il sogno, ho detto ad Isaia, è molto interessante. Non solo perché lui torna su con uno zaino nuovo, ma anche perché ricorda la storia di Pinocchio, che dopo essere finito del ventre della balena ed esserne uscito vivo, diventa finalmente bambino. You can improve your Italian studying and reviewing the Grammar. Speaking of that, I can tell you that the Video Course for Beginners is finally finished. 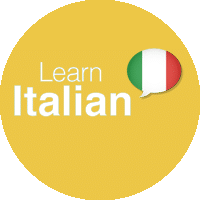 You can find there all the posts and the videos related to the basics of the Italian Grammar and Italian Pronunciation. Finally, this is not a tip for improving your Italian but is an extra information for you. If you will “bring a friend” to learn at Italian Virtual School (in Italian we say “Porta un amico”), you will have a special 10% discount on your next package and the same for your friend. It is an extra class in addition to his/her first Trial Class. I can now finish this post, I wish you a great year of learning, work and life.